This walk begins at the large layby on the A494 near Plymog Farm just south of Llanferres, GR 187598. 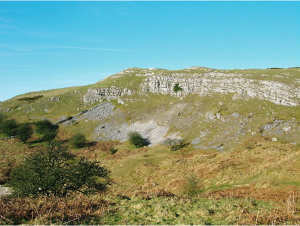 The plan is to go past Pothole Quarry and onto the fine limestone hills and pavement country to the east (see photo), and then to circle back via Nercwys Mountain and Eryrys: it’s a full day out but not a massive one. These hills have great open views over to the Clwyds and Berwyns. It’s a very varied area and is usually quiet. Planned start time is 10.00am.